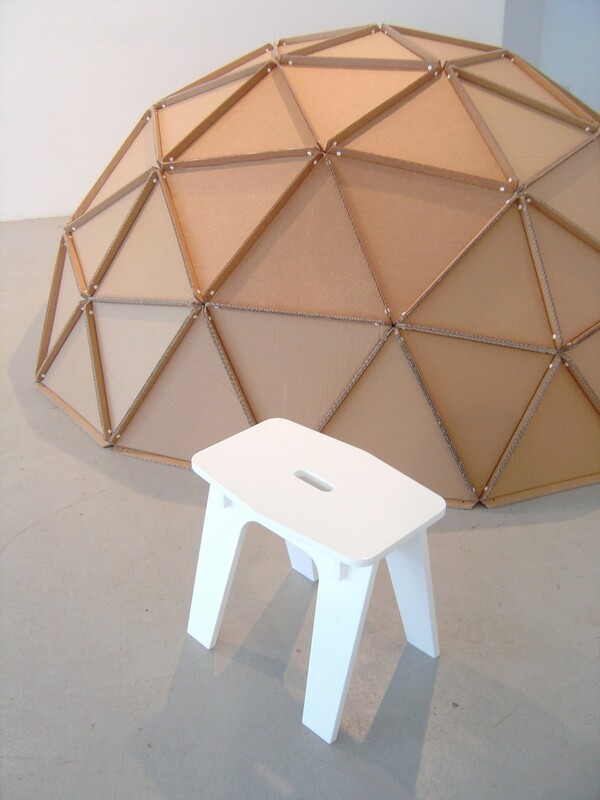 Geodome is a creative or meditative space available in 2 sizes for adults or children. Designed with a doorway for floor positioning or without for hanging from the ceiling each dome is assembled on site from flat cardboard panels. 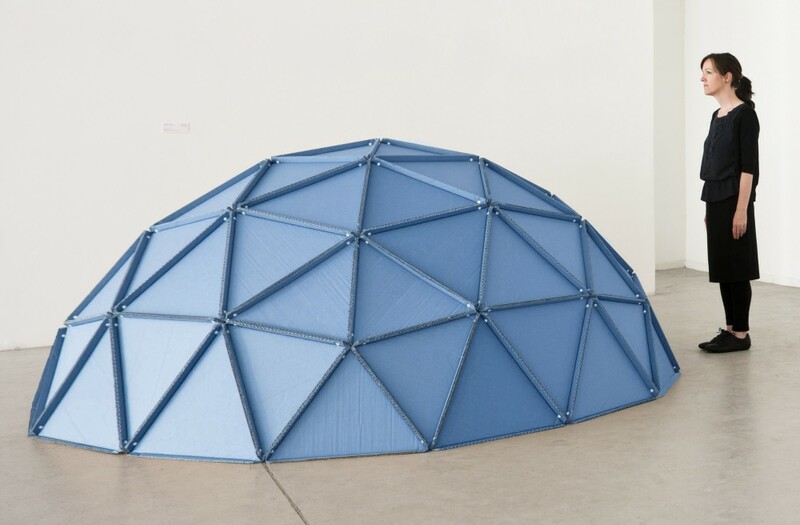 Geodome could be an interesting and unusual space for meetings combined with floor cushions or used as a children’s playhouse.